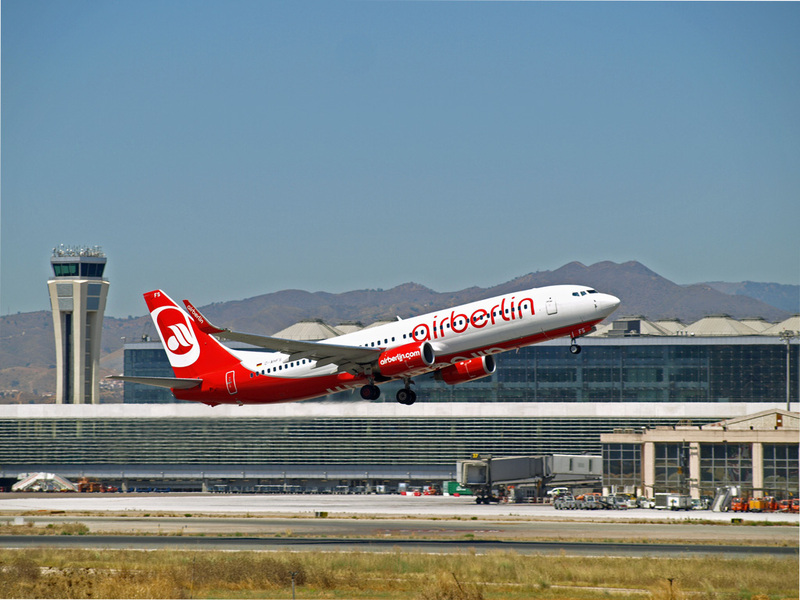 The airport of Malaga remains a major airport for Airberlin this summer. In total, the airline flies from this May to 40 destinations, of which three are domestic, 17 German, 16 to the rest of Europe and four international. 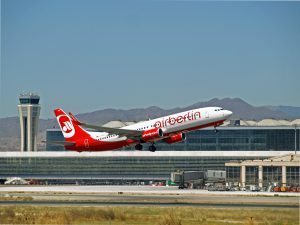 Airberlin flights from Malaga will be 17 destinations in Germany, among which are the most attractive cities like Berlin, Cologne, Dusseldorf, Munich and Hamburg. Furthermore, Malaga will be connected to the Austrian cities of Vienna, Graz, Linz and Salzburg, with Basel and Zurich (Switzerland), as well as Bucharest (Romania), Copenhagen (Denmark), Stockholm (Sweden), Milan, Naples and Olbia (Italy), Nice (France), Sofia (Bulgaria), Oslo (Norway), Moscow (Russia), Tel Aviv (Israel), Miami and New York (United States). The increase in international destinations linked to Malaga airport in cooperation with Etihad Airways is one of the most important news for the summer season 2012. For the first time in the summer season, you can fly via Berlin, Dusseldorf and Munich to Abu Dhabi daily, and continue the flight from Abu Dhabi to Melbourne, Sydney, Brisbane, Bahrain, Kuwait, Maldives, Oman, Pakistan, Seychelles, Sri Lanka or Bangkok. Spain, with the hub of Mallorca, in 2012 will remain an important and strategic market for Airberlin. In addition, through the two German hubs in Berlin and Dusseldorf are within easy reach from Mallorca another 22 destinations in Europe and around the world. Thus, the total number of destinations available in Airberlin will be 66 in 18 countries.